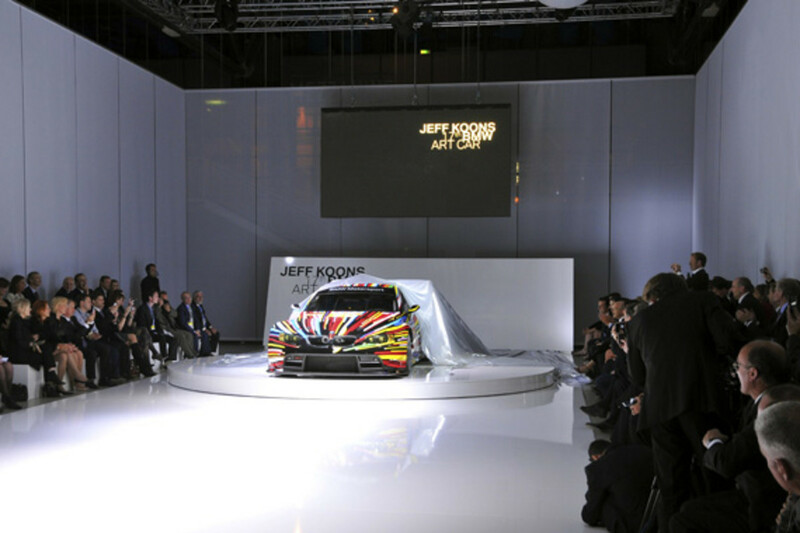 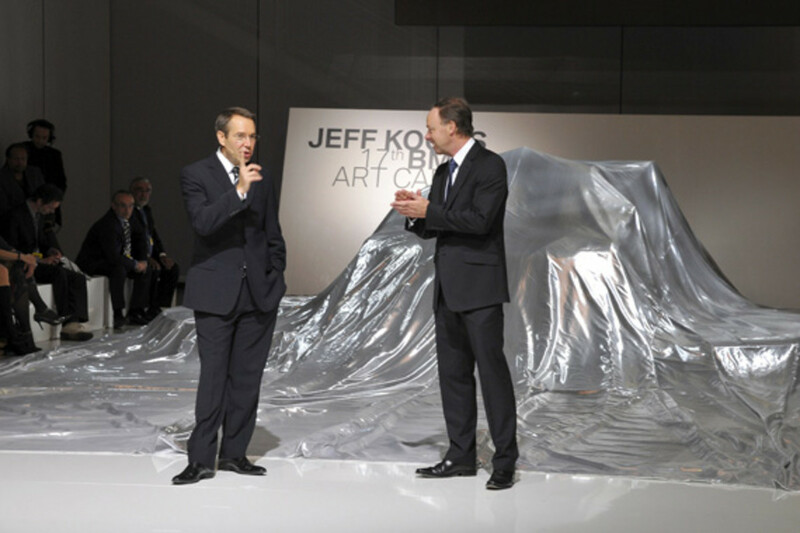 Joining the ranks of modern art greats such as Roy Lichenstein and Andy Warhol, Jeff Koons has unveiled the 17th BMW Art Car at Paris&apos; Centre Pompidou today. This unveiling is not only a highly anticipated moment, but it is also quite a rushed one, as it has only been two months since BMW announced its partnership with Koons to create the latest BMW Art Car. 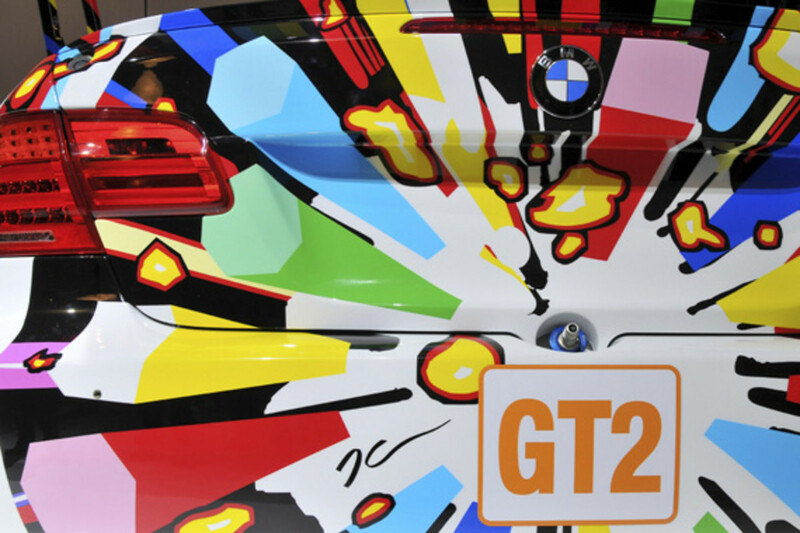 For this project, Koons reworked the powerful M3 GT2 and the Koons creation will be racing in the endurance-centric 24 Hours Le Mans race like all the other BMW Art Car predecessors. 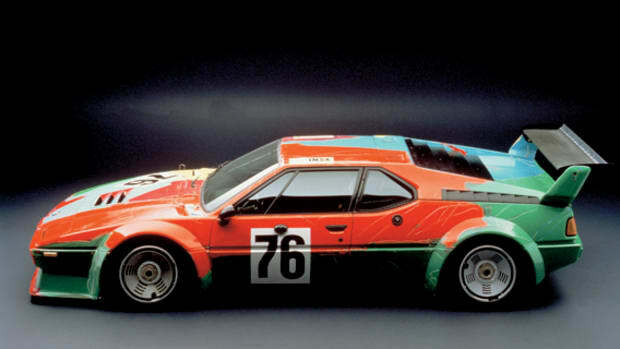 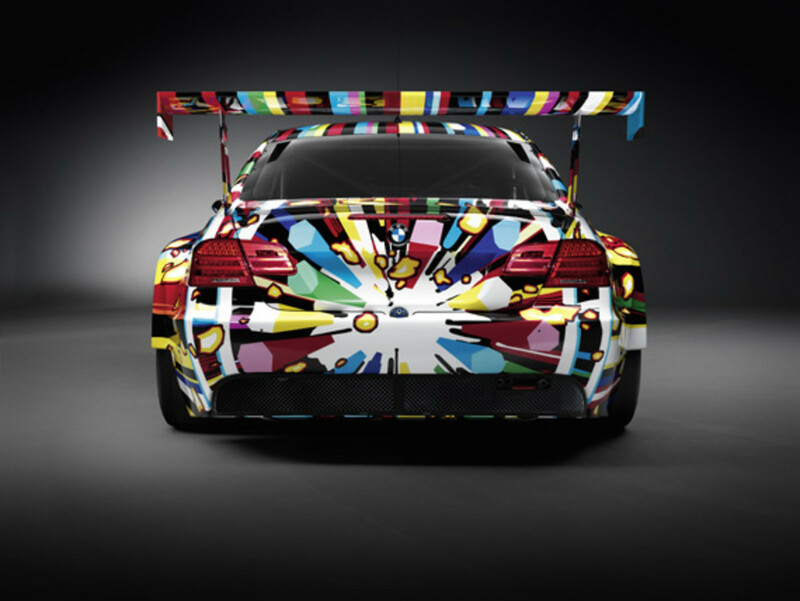 Without an insider&apos;s peek, it is difficult to imagine the amount of work that went into designing the BMW Art Car. 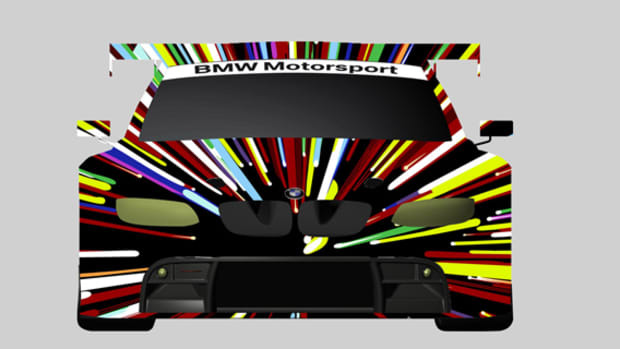 The collaborative affair is not as simple as a few sketches here and there and making a fast rendition on a CAD program. 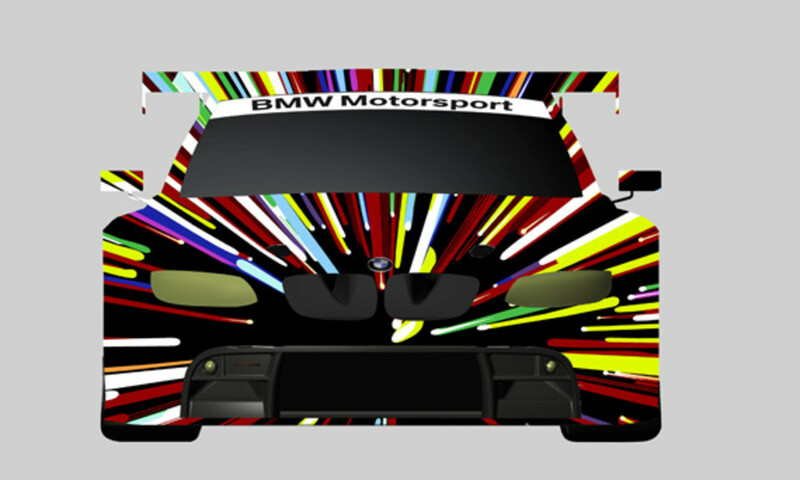 Because the BMW M3 GT2 will be partaking in an actual race, aerodynamics is as important as aesthetics, and as any race car enthusiast (or physics major college student) will be able to tell you, even one ounce of paint makes a tangible difference. 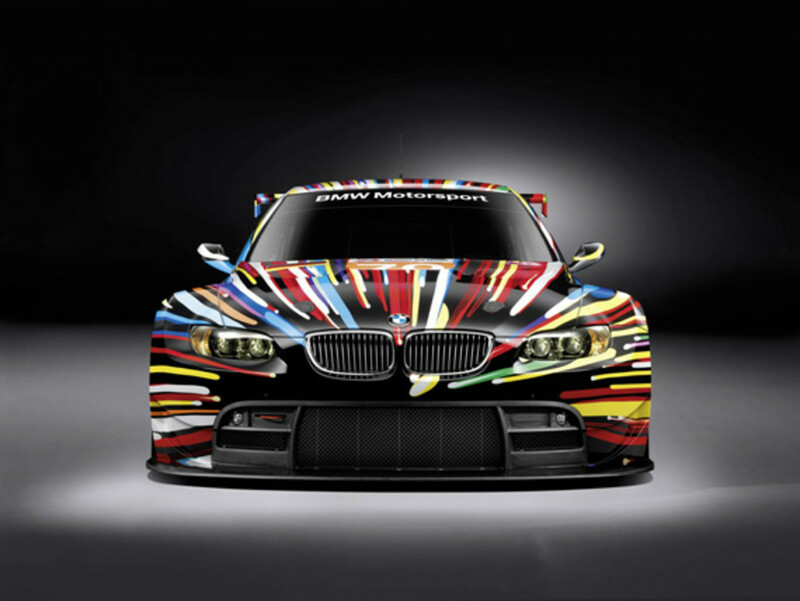 As such, when dressing the car in Koon&apos;s design, Koons and BMW has to take the physics and speed into consideration, and as such, both material use and application become key concerns in creating the new BMW Art Car. 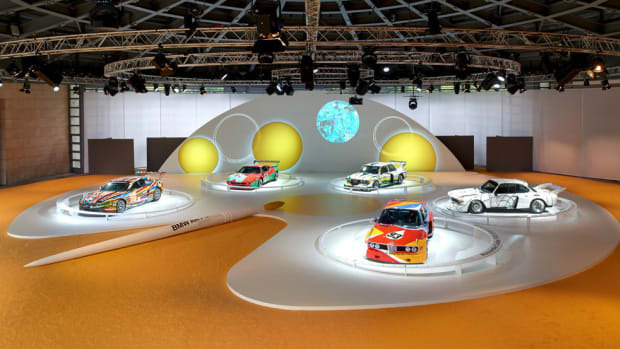 The design and production process was quite a tedious one. 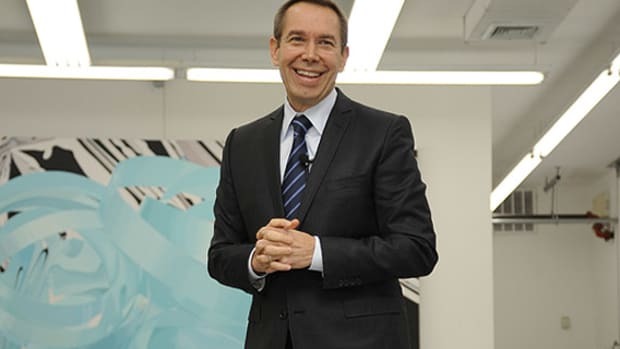 Koons flew back and forth to Germany to work closely with the BMW engineering and design team to ensure that the car will be performing at optimum speed. 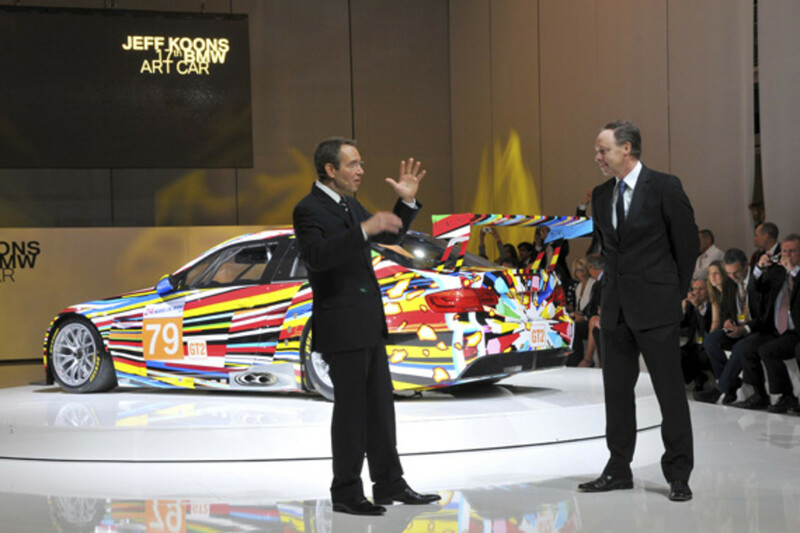 First, Koons worked with a 3D CAD program to simulate application of his designs to the car, and examine it from all angles. 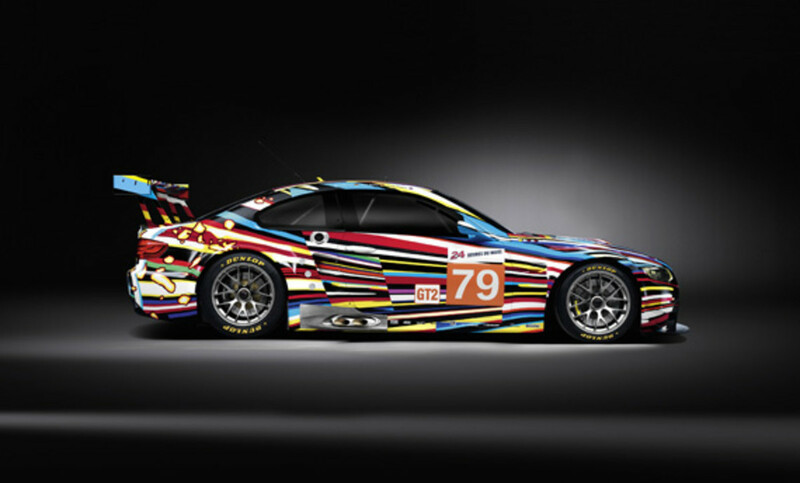 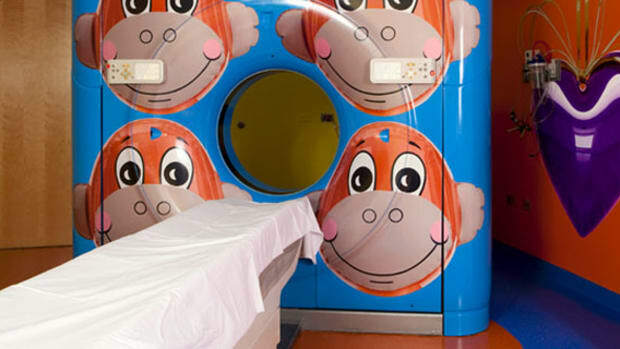 Then, the 3D design was rendered in 2D so it can be printed on a wrapping vinyl to be applied by hand to the car. 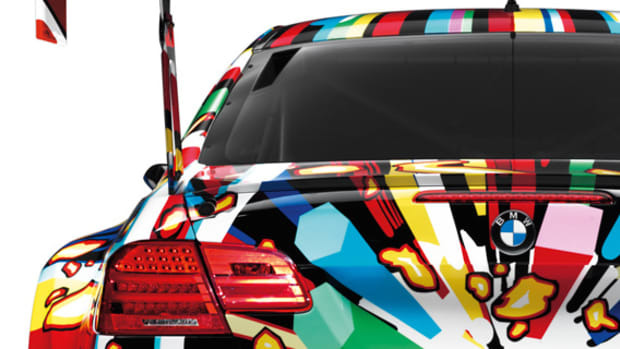 The application was a painstaking process and the colors were brought to life with the help of double clear-coating. 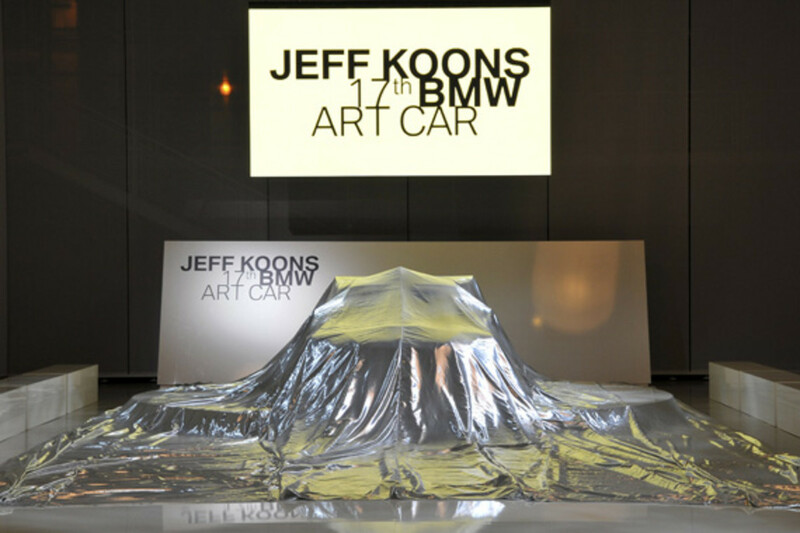 Steering a little away from the technical talk, Koon&apos;s design is very much about power, and bringing the intangible concept of speed into visual life. 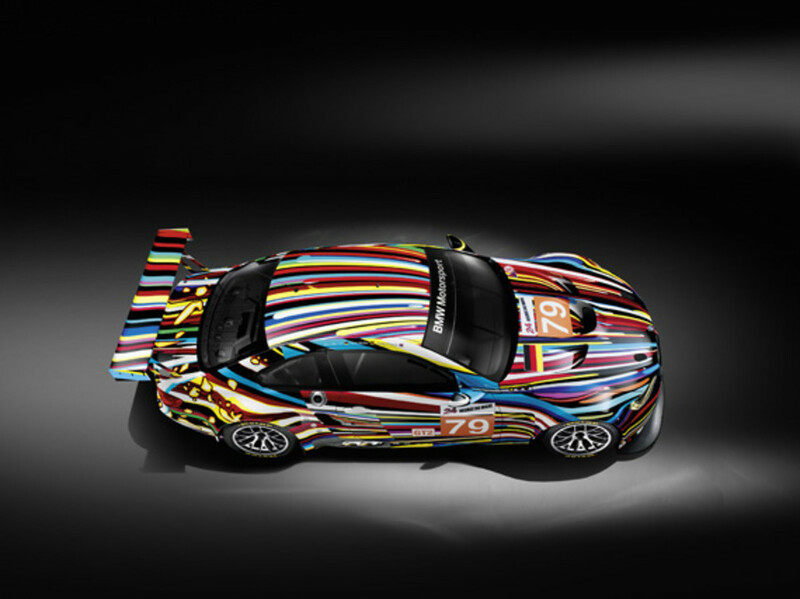 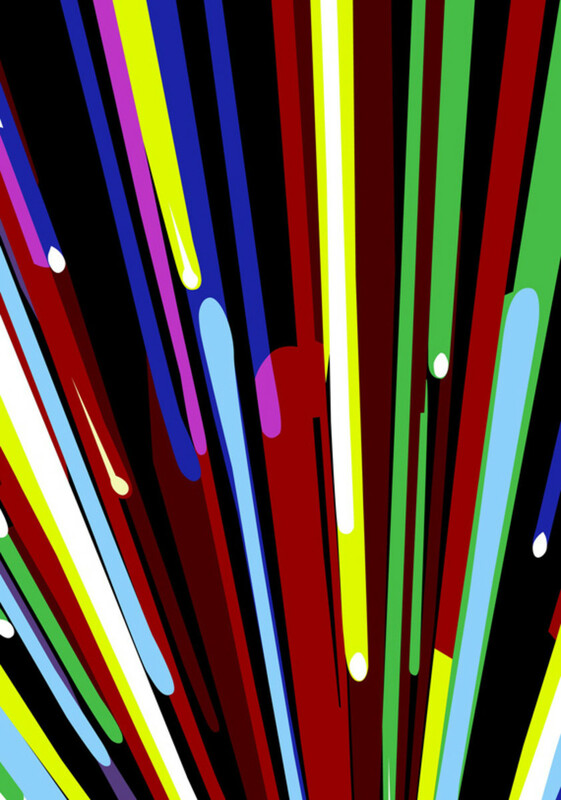 A kaleidoscopic range of colors are finished in hard edge as hundreds of overlaying stripes to convey both energy and velocity. 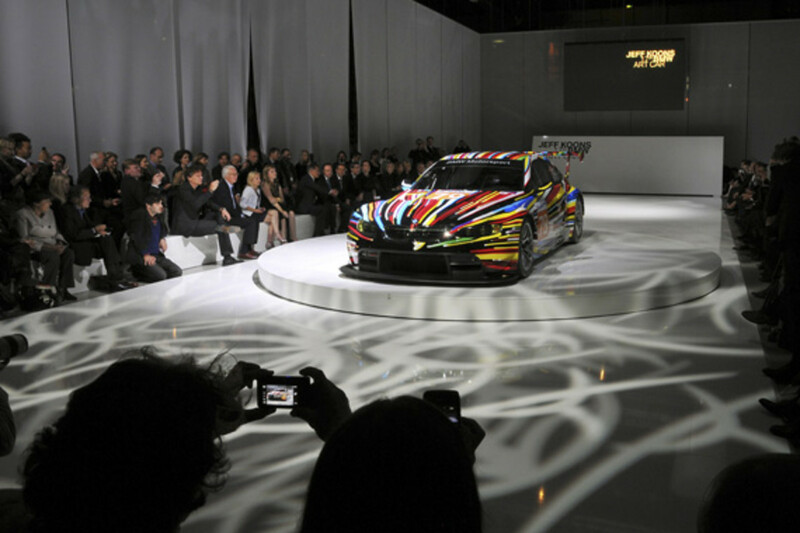 In addition, graphics of debris were added to the rear of the car to visually stimulate and suggest power and performance. 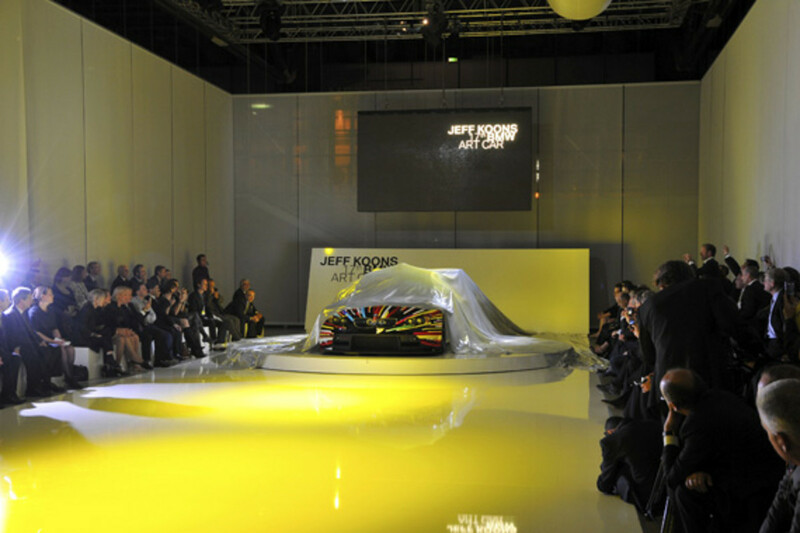 Also on the rear, two graphic rings are applied to represent supersonic acceleration. 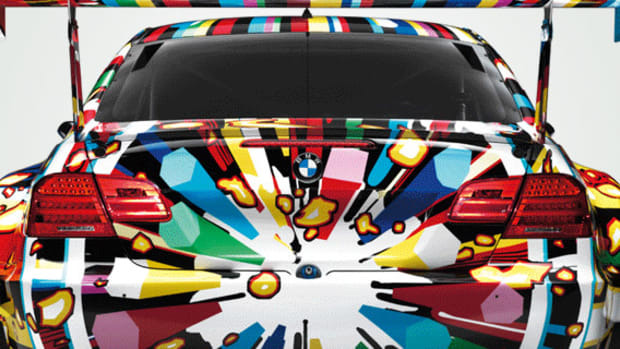 Check out the behind the scenes video where we can follow Koons through his creative process, the BMW Art Car&apos;s production process, and also see a clip of Koons test driving at Sebring. 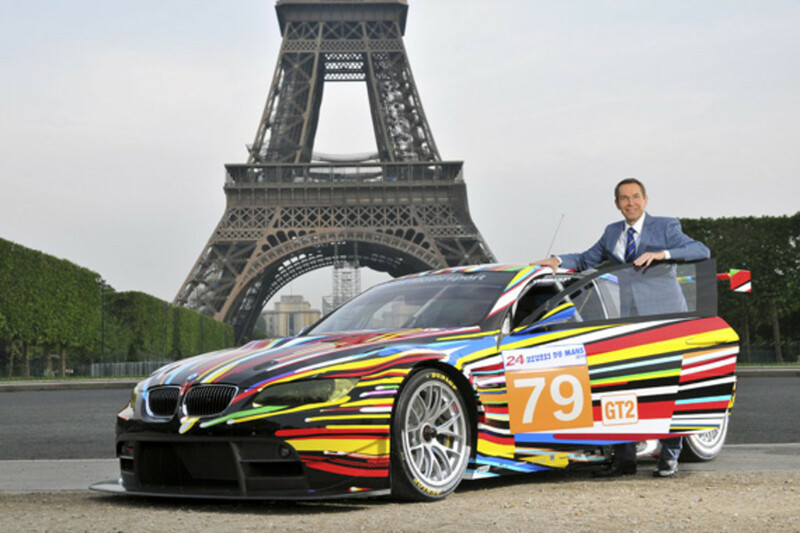 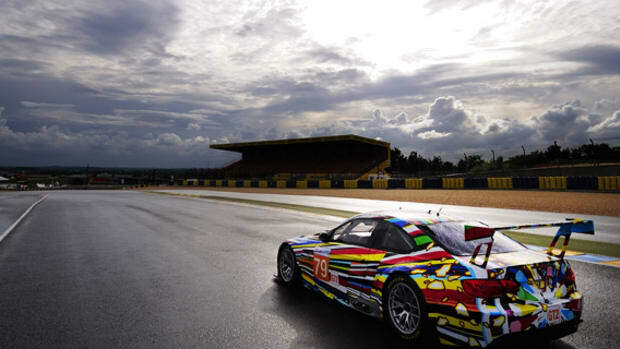 Also, stay tuned for more coverage to come as the Jeff Koons x BMW Art Car makes its appearance at the 24 Hours Le Mans next weekend from Jun 12 to Jun 13.